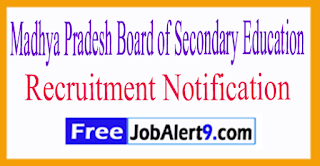 Madhya Pradesh Board of Secondary Education (MPBSE) Issued a Advertisement For Recruiting 05 Driver.All Eligible And Willing Candidates Can Check Detailed Advertisement From Their Official Website & Apply Offline Before 14-07-2017.Eligible And Interested Candidates Can Check Detailed Information For Each Postion Such As - Eligibility Criteria, Qualifications, Age Limit, Selection Procedure Before Applying. 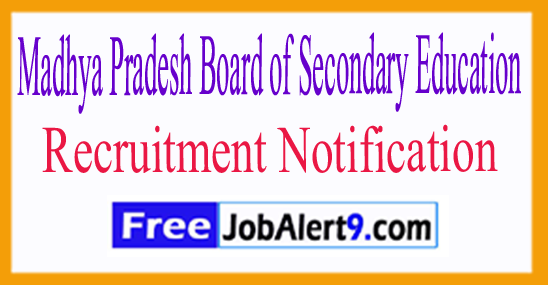 Madhya Pradesh Board of Secondary Education (MPBSE) Recruitment 2017. Candidates Minimum Age limit 18 Years to Upper Age Limit 40 Years. Salary And Grade Pay Scale: INR Rs. 5,200 - 20,200/- With 1900/- Grade Pay. . Candidates Must Pass 8th, 10th, 12th or Its Equivalent Qualification From A Recognized Board / University. Candidates Can Download Application Form Through Official Website (http://www.mpbse.nic.in). before 14-07-2017 . Important Dates : Last Date for Receiving of Offline Application Form Is: 14-07-2017 . Click Here For MPBSE Recruitment 2017 Advertisement.